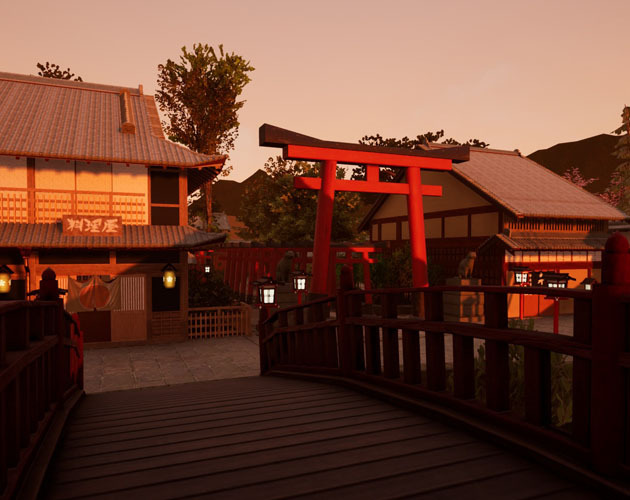 Demo level for the Modular Japanese Town House (MJH) pack for UE4. With this demo you can walk around a little machiya town, go inside the houses and change the time of the day. @ava @seconddimension Thank you to try our game and for the comments! @ava I'm one of the elite club. Besides, you're the only one who rated us, your even more elite. @ava: I did this 4 days ago. I'm one of 3 people who did it. Great game. I agree with ava that you can sell this. I'm very bad with brain games, so cannot comment on the AI much (I couldn't pass after tutorials). But graphics and animations are great. Also, I like how the background is animated. Great graphics, music and controls. I wish you could repair your ships (i tried by firing on their "core" - didn't work as I expected. Also, I miss going backwards. Not bad for first game! I think you must make scrolling more obvious, or show both bases on the same screen (smaller bases). Otherwise people will not understand where blue guys are going. I hate "depressive" stuff, but I replayed this one few times to find if there is another ending. Variable <unknown_object>.y(1, -2147483648) not set before reading it. We found Gameplay/Overall category a little bit confusing. Some entries had weak gameplay but overall were good. There is already an average of all categories in the results, there is no need for "overall" maybe. Totally agree with Simoens about voting. Adjust raw score by number of votes given maybe? But I don't think it's possible.